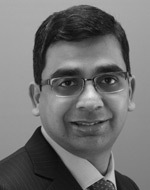 Sundar Subramanian is a partner with Strategy&’s global health and operations practice in New York, where he co-leads the firm’s Medicare and Medicaid Center of Excellence. As the massive healthcare program for low-income U.S. residents evolves, players will have to develop new capabilities. In a turbulent environment, it is vital for healthcare companies to build business models that can withstand uncertainty and change. Pursuing effective growth strategies will help firms navigate the uncertainty in the U.S. market. As Medicare reimbursement rates continue to drop, three critical factors will separate the winners from the losers. Regulatory reform and IT advances are accelerating the “clockspeed” in healthcare. To compete, insurers will need to focus on three key areas.